Last week, you heard the story of Jason Yip with State Apparel. 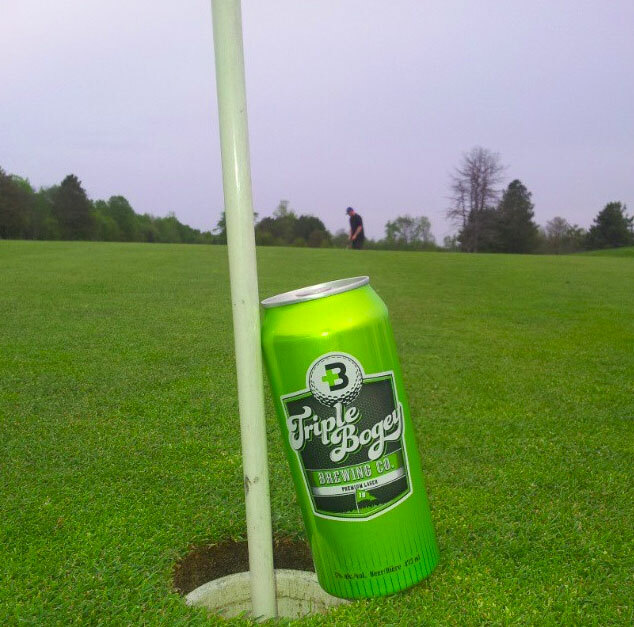 This week, it is our pleasure to introduce you to Geoff Tait of Triple Bogey Brewing & Golf Co. Geoff has had some extremely unique experiences that has led him to brew some delicious beer for us. Hey Geoff! 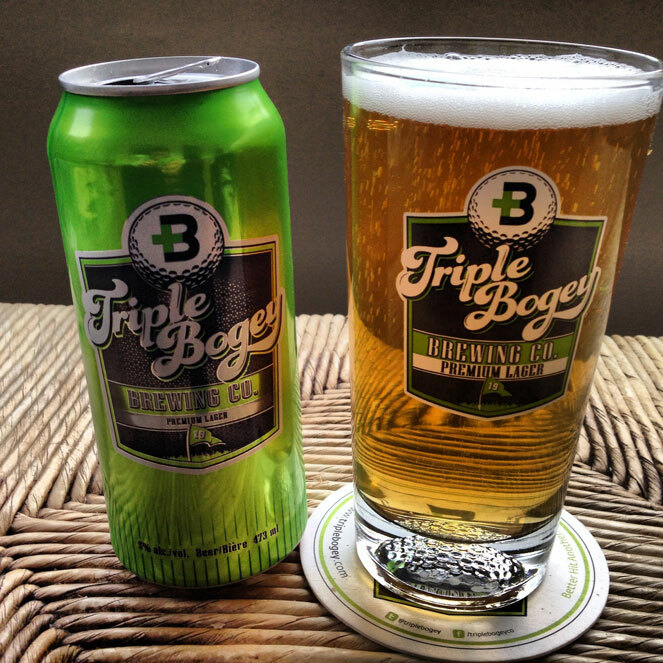 Let’s start with a quick background on Triple Bogey Brewing & Golf Co. It was awesome… But unfortunately, due to some partnership issues, Quagmire folded in 2012 and along with it came the Arnold Palmer license, despite the success we had there. While what we had with Quagmire was great, it came to an end. But this brought me to the idea of Triple Bogey Brewing & Golf Co. where we have sold more beer to date than we ever did in shirts. So there was a silver lining. I started Triple Bogey in 2013 with my wife, Megan Tait, and we have had great success selling to over 400 golf clubs and hundreds of bars and liquor stores in Ontario. We are now selling in Alberta, Manitoba, PEI, and we just moved into the US this year! Sounds like you’re growing quickly! So, what is your professional background? I am all about building brands and marketing. I started my first company when I was going to university in Australia – a cool surfing company. From there, I started Quagmire, as I’ve mentioned. 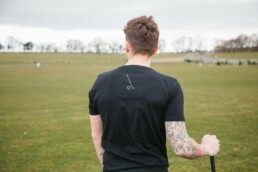 There, we sold cutting edge, youthful golf clothing all over the US and Canada. Caught the entrepreneur bug… Can you elaborate a bit on your golf background? I worked in golf all my life. From scrubbing clubs and picking the range when I was 12 years old at St. Thomas Country Club to caddying at Redtail. I worked the pro shop for years at St. Thomas, and I taught golf on the cruise ships. I had always been a competitive golfer until about 10 years ago. That’s when I became a beer drinking golfer… I won a few events as a junior and almost made it to the U.S. Junior Am. I played to about a 4 or 5 when I was younger, but now I’d say I’m about a 15. Bet you have some interesting stories from your St. Thomas days. Beautiful place! So let’s get back to Triple Bogey. How is it different than other brewing companies? We are considered a micro-brewery, but we just do lagers. Easy drinking, delicious beer… that people can drink a ton of. Most crafts are making great IPAs and stuff. We just stick to the basics and do it well. We are also different because of our marketing. 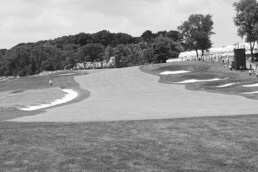 We target the golf courses and because of our golf background, we support club events and leagues. The clubs love it. We are also family-owned and run. We take pride in our customer service. We stand out in several ways! Can you dive into some details on your premium lager? Crisp and clean. No after-taste. 20 IBUs which means it is very light and not bitter at all. 5% alcohol. Ingredients include the basics: water, malted barley, hops and yeast. Great with all types of food and on hot summer days. Making me thirsty. Any new ones on the horizon? 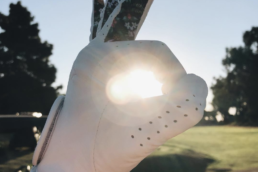 Triple Bogey Light is coming in the Spring of 2019. It’ll be 3.9% and half the calories but will still have all the taste. Hurry Hard is on the roster already. It’s an amber lager we sell in the winter for all the curling clubs. We have Jennifer Jones, Glenn Howard and Brent Laing as our partners who invested in the company when we started and have been long time friends. They are wonderful and have given us some good clout in the curling world as world champs. We also have a canned white wine coming in the spring. It’ll be called Cart Girl. Looking forward to it! So what has been the greatest challenge you’ve faced thus far? Keeping up. We have been overwhelmed with orders, but we’ve always done the job. We never let anyone down and don’t plan to. Keeping control of the growth has been key and has allowed us to use grass roots marketing to grow our accounts. Good challenge to face. What’s been the most rewarding moment for you? Awesome. So what’s the vision for Triple Bogey looking ahead? World wide. Next stop, we go heavy into the US. We plan to brew there so we can compete with the prices and set up a sales force. We want to see our beer on tap at Bay Hill in honor of our friend, Mr. Palmer.